Small World is all about taking land. The problem is there seems to be more people than land available, and that is where the conflict begins. Each player has a different race. These all possess different abilities as well as unique classes which are assigned randomly. All this allows for a game that is constantly changing and able to offer new experiences and challenges each time you play. I found this game to be quite enjoyable. It has lots of variation…and lots of little cardboard pieces. The game does have a little bit of a setup time. Nothing as bad as Arkham Horror or anything, but just be aware of it. Even though you have tons of little cardboard pieces, they are pretty well done and the game provides a good way of sorting them and keeping them organized. Everything fits into it’s own compartment in the box which I was quite pleased with. The game also provides 4 different maps. You get two double sided game boards. Each side corresponds to a 2 player game, 3 player game, 4 player game, or a 5 player game. This helps balance the game better than some games instead of trying to force a larger or smaller amount of players into something that it just doesn’t play as well with. I just picked up this game recently but I have already played it multiple times and have really enjoyed every game. It’s not too heavy of a game, but it doesn’t feel like it skimps either. There is some light strategy and plenty of opportunity to use some smart tactics. There is very rarely a dull moment in the game as new races seem to always be moving in and out of the game and lands change ownership quite often. Small World may not be my favorite game, but it has a good chance to see more table time than some of those. It’s not a bad setup, it has a good medium play time, it’s easy to teach and it’s just plain fun. I recommend this game to anyone that needs to fill a strategy gap in their game collection but just doesn’t feel like a multi-hour game or a set of complicated rules. Sometimes you just feel like destroying a hill troll with a flying halfling. Ooops, you forgot about the dragon master tritons. Goodbye halfling. Portable versions of games, especially digital ones, haven’t always inspired the greatest amount of confidence in gamers. They are usually slimmed down representations of their games namesake, that are barely even comparable, or clunky facsimiles that require the highest level of determination and stubbornness to control. With touch devices such as the iPhone and iPad, this is no longer the case. By throwing out the keypads and buttons, you can touch the game pieces on the screen just as you would on your table. This opens up the ability to play the actual game portablely, not just the portable version of the game. Ticket to Ride takes advantage of this and runs with it. This is the actual game. Sure, they have stream lined a few of the things here and there, but they haven’t changed it to a different thing. This feels like you have the board game right in front of you and it’s just as enjoyable. Sure, it will never replace the actual board game. The feel of the pieces, the setup, the actual cards in your hand, but this comes close. It’s a great alternative for when you don’t have room for the full spread. If you like Ticket to Ride, it’s a real good bet you will like Ticket to Ride Pocket. It’s responsive, there is minimal unneeded animations, and it preserves the elements that made the board game so popular. It’s very affordable which makes this an even easier purchase. If you want to play a game of trains at your convenience, this is the game for you. PvP = Player vs Player: Indicating each player will fight the opposing characters attempting to kill or stop them using combat techniques. CTF = Capture the Flag: Each player has a flag or item that they are protecting and the opposing players are trying to take and return to their base to score points. 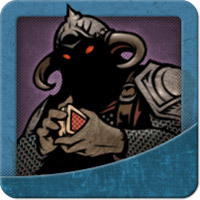 MtG = Magic the Gathering: An addicting card game that has wizards duel using spells. FTW = For the Win: I arbitrarily decided to include another initialism for mild humorous effect. Wiz-War combines all the above elements into one extremely fun board game. Four wizards are battling in an underground labyrinth. Each has two treasures they are protecting. You gain points by successfully stealing the treasure and bringing it back to your base or simply killing another wizard. The first wizard to acquire 2 points wins. Each player draws cards from a group shared deck. There are tons of different spells you can get. Everything from simple attacks to destroying or creating walls in the labyrinth. The labyrinth is formed with four different two sided game boards. These can even be rotated with specific spells making the board an active part of the game play. -Great components. Card art is well done. Miniatures look good. Very good quality all around. -Fairly simple rules. There is a lot of different stuff in the rule book, but most everything will be recognizable to gamers. Doesn’t take long to get everything in order. -Amazing fun and balanced. It’s fast paced and seems very well designed. -Some of the cards can be a bit confusing at first but it does seem to work it’s self out quickly. I had a blast playing this game. I wasn’t sure what to expect but I’m always ready to try a new game, and it’s gems like this that make that pay off. I can’t wait to get another game of this going. It’s got a good amount of action mixed with humor to keep everything going at a nice pace. You are not overwhelmed with options so turns seem to go pretty quickly. I can’t recommend this game enough. Buy it and be happy. Get a medium size to large table, open up the Carcassonne box, and build cities and roads and fields until the cows come home. Because cows in your home might knock over the table and mess up your game of Carcassonne so that might be a good place to stop. Carcassonne is a game of tiles. It’s like a multiplayer puzzle. Each player picks a tile and places it on the board/table/floor/playing area. This tile will have different things on it such as a field, or part of a road, or maybe even a city wall. These pictures must match up to their surrounding tiles and build off them. Once you complete a section, such as completely walling off a city, you get the points for that city if you have claimed it. You claim an area by placing a meeple on it. A meeple is a little wood or plastic person-ish shaped counter. The most points at the end of the game wins. Fairly simple, pretty straight forward, but the end result is usually an entertaining game and a funky looking french countryside littered with the oddest shaped cities and most ignorant road placement you have ever seen. -Good play time. Not too long, but not too short. -MEEPLES! What more do you need man? -There is a lot of luck involved concerning tile draws, but not so much that it overrides good decision making on placement. -Some of the scoring might be a little confusing at first, but nothing a game or two more won’t fix. Look. This is a very popular game for a reason. It’s not super flashy and the box might not exactly scream “Excuse me kind sir. Will you please play me because I’m fun and WOW EXPLOSIONS!” or anything like that, but after your first game you will see why so many people put this game so high on their list. Some people use it as a gateway game to get new players interested. The really good thing is that even after they are hooked, they will come back to Carcassonne again and again even after they are addicted to the sweet sweet drug of board gaming. Quarriors has been called a dice builder game. It does play like some deck builders but this isn’t a bad thing in my opinion. Simply by utilizing the dice, there is a fairly large amount of luck involved, but that doesn’t mean there is no strategy in this game. It’s a fast paced and fairly short play time game, but it’s fun and has a lot of replayability. The components of this game are high quality. The art on the cards are well done and imaginative, the dice are very well made as well as quite abundant, and it even comes in a nice metal box. A score card as well as wooden place markers are included. The packaging and presentation are convincing enough to make the purchase, but the fun keeps you from regretting it. Game play is pretty simple. You roll your dice, use the points or spell or creature that is showing on each dice, then use them for yourself or against your opponents to score points to win. Word of caution though, the rule book isn’t the most easy read. It is not complicated, but some things are out of order from the way I figured they would be presented, or just not very clear. After a full playthrough or two everything will be fine though. The game can turn into a game of “first person to get the dragons” pretty fast though. It’s easy to go for the big monsters and just go for the win, but this game offers many other interesting spells and creatures. Remember your other options and take out the dragon hoarders. -It can feel like there are not enough different variations on your card options at times. There is an expansion for this out and another one on the way which could resolve this issue pretty easy. -If you don’t like dice/luck based games, this may not be for you. Lots of luck, but you still have options and strategies. I purchased this game based only upon a few reviews and the packing presentation and description on the box. I mean, a game with 130 dice is enticing. I was not disappointed. I keep wanting to play this game and I’m planning on picking up both expansions. It’s an easy game that will entertain. Worth the money and worth the time. Return of the Fallen is a great expansion. It adds new cards to the Ascension mix without taking away from what made the original great. There are some new play mechanics but they fit so well with the flow of the game it makes it seem like they have been there the entire time. This is a stand alone expansion, which means you can play it without the original Ascension game, but because only with 2 players. This is limiting, but not really a problem. You will probably want to mix the two sets anyway. -More of the same. Added some new stuff, but everything fits. -Small set to use as a stand alone. Ascension is a great game, and Return of the Fallen is a great expansion for it. Nothing feels out of place. The game doesn’t get changed so much that you won’t recognize it, and the new things that are added seem to be a welcome addition to most players. If you like Ascension, pick up this expansion. You will be able to support more players and get some great new cards. Blokus is a a pretty fun game. The point of the game is to get all your pieces onto the board, while preventing your opponents from doing the same. You do this by connecting a piece to another of your pieces by only having them touch on the corners, never side by side. You can touch other players pieces on the side, but not your own. The more pieces you have left over at the end, the worse your score. There is a good amount of strategy involved considering your pieces are all odd shaped and you are limited on your placement. The pieces and board are well constructed. The pieces are plastic and transparent colors. The board is notched so the pieces fit onto the board without sliding around. A lesser game would have overlooked this and made the game far more of a chore. This tiny aspect makes the game easy to play without a fuss. Even though the game is enjoyable, I feel it does lack in depth. Yes, it has strategy, but it’s pretty straight forward. This is a good thing for learning the rules and getting new players involved, but the game probably won’t be play as much as some other more complex adventures that are available. -Simple game mechanics with fun strategy. -Well made game pieces and board. -Easy to learn, easy to play, but still has the “hard to master” aspect” to keep it interesting. -Not enough depth to keep it from being an occasional game. If you want a fun, simple game that has some strategy, Blokus is a nice fit. It’s easy and inviting for kids or new players without making it a game you just play for that reason. If you find the game on sale, it’s a no brainer. Forbidden Island is a cooperative game of strategy. You either succeed as a team or fail as a team. There is no middle ground. This can either be an amazingly fun experience or a fight in the making. Every player is randomly assigned a role card. These all provide unique abilities that other players do not have. All of the roles are useful and using them correctly is pivotal to your success. Once you have your roles, you are now ready to start trekking over the island to obtain the treasure and then fly away to freedom, but that won’t be easy. The island will start flooding instantly. Flooding is the main weapon the island will use against you to hinder your progress and try to ultimately kill you all. As the island floods, areas of the island are threatened. If an area floods twice without being saved, it falls away forever and is removed from the game. This makes it difficult to travel but even more importantly, if the piece was vital, such as a treasure location, you loose. This makes for some tense moments as it just feels like the island could destroy everything at the drop of a hat if you do not plan properly. Don’t misunderstand me. The game is winnable. It will be a difficult journey but the payoff is worth it. Work together and you won’t be afraid of getting your shoes wet, or even massive sections of the island disappearing into the sea. -Easy to setup and quick to play. -Players must utilize strategy or they will loose the game for everyone. This is not enjoyable for all types of players. I love this game. The unique strategy elements mixed with the co-op game play makes for a great time. Working together with your friends to achieve an obtainable but difficult goal is exciting. This game does require the players to utilize their abilities and implement some strategies though. The game encourages discussions to assist other players with their strategies to ultimately provide overall success for your group. Not all players are up to this task or find it enjoyable, but if this does sound fun to you, the game will not disappoint. It’s a very affordable game that will be played more than many much more expensive ones. That seems to be the most common phrase said after a game of Ascension. Lots of people think it’s fun. There is no doubt about that. It may not become your favorite game, or even your favorite deck builder game, but there is definitely an audience for this game and it’s easy to see why. Ascension is well designed. The game is easy to learn but doesn’t feel too simple. The rules are fairly easy to follow even on your first time playing. Some cards might be a little confusing at first, but that gets resolved fast enough. The first game is the most simple on the rules. Both of the expansions add new things that can be tricky to keep up with at some occasional times, but nothing to scary in any of them. The art is great. The game has a style and all the cards fit together into that style very well. Every card is illustrated by the same artist and every illustration is a work of art. The game play goes by fast but you still feel like you have accomplished something with your built deck. You can easily make the game quite long if desired with easy house rules, which makes the game even more epic. I recommend it, but only if you are ready to go against some power decks. I love this game as well as both of the expansions. My personal favorite seems to change from week to week, but all of them are worth picking up and playing at anytime. -Keeps you coming back with a different game each time. -The game can fly by pretty fast at times. -The first has fewer variation on cards than the expansions. The game play is fast, easy to learn, but still has a strategy to it that will keep you thinking a few turns ahead. The game play is solid, the art is great and most importantly of all, you and the other players will have fun. Buy it. If you love it as much as I do, buy the expansions. You will not regret it. Zombie Dice is a fun game at a cheap price. The dice are well made, the art is appealing and the zombie concept makes it more enjoyable, but Zombie Dice is an occasional game. It’s a super simple game that takes no time to learn, but also no time to play. Not saying it’s not fun, but it will get old quick. By being so simple though it does lend it’s self to house rules very well. This often adds a great deal of enjoyment by just testing out what works and what doesn’t. If you enjoy making up new rules or tweaking the old ones Zombie Dice has a bonus for you. The dice, the cup and a set of rules. Thats all thats in the package, but honestly thats all you need. The standard rules are straight forward but produce a quick game that is fun. You probably won’t play it often, but when you do, you will be right into the action in no time eating brains and getting shot in the face. If you like games, if you like zombies, and you like dice, pick up Zombie Dice. Keep in mind this probably isn’t going to be a main game by any means. Break out the game, play for about 10 mins then move on to the next thing. It’s fun while it lasted and it will be fun when you come back to it, but it’s not going to be a main gaming piece, but it wasn’t meant to be. Storm of Souls is the standalone expansion for the deck building card game Ascension. It can be played alone or added with the original and/or the other expansion Return of the Fallen. During the game you basically build a deck from cards you acquire from the table that will allow you to have the most honor at the end of the game. You don’t fight the other players as much as you out maneuver them. Build a deck that performs better and you win. You can also play to prevent them from building a good deck so there is still some direct actions you can take against the other players. The game is easy to learn and easy to play. This has become a favorite among my gamer friends. A typical game can be played in a fairly short amount of time but can be made longer with very simple house rules if desired. Even with a short play time you are still able to see a strategy emerge from your constructed deck fairly quickly which is gratifying. There are some interesting strategies and combos with certain cards, but they are not required. Pick cards that might compliment each other and you will be able to compete. You don’t have to be an expert at the game to succeed which is always refreshing to a new player. The addition of the new event cards are nice, but not a huge game changer. This is not really a bad thing as the game was amazingly enjoyable to begin with. When the event is beneficial to you, you are happy about it, when it’s not, you really don’t even notice it. I hope future expansions utilize more event cards though as I think it could become quite inventive. Even forgetting about the event cards, the new cards in this expansion are well thought out and add a lot of new flavor to the game. Much of the art has also changed and I think it looks great. It is done by the same artist so it still matches with the previous releases. Even with some updated art it still mixes with the other two no problem. -Good mix of luck and strategy. -Some games can go by to fast without house rules. -The new event cards don’t seem to add a lot new, but don’t hurt either. Ascension is one of my favorite games, and Storm of Souls is my favorite expansion. As I stated earlier, this can be played by it’s self too without just adding to the original. In some ways I think it’s better than the original, but both offer their own flavor of a great game that still sticks with what works. If you are a fan of collectable card games such as magic, deck builder games or just want a fun game that has the nice mix of pick up and play and just enough strategy, I can’t recommend it enough. Hilarious at times and infuriating at others, this game is well known to produce a crazy good experience. The cards are funny, the combos are overpowered and everyone cheats. Just a few of the reasons I love this game. The basis of the game is this. You are a Munchkin. You and your fellow Munchkins go down into the dungeon and fight monsters, get loot and go home. Pretty straightforward. The interesting part comes when your so called Munchkin “friends” end up being more detrimental to your health than the monsters. See, it’s not about just winning and getting the loot, it’s about being the ONLY ONE winning and getting the loot. As you progress through the game every player ends up with various cards they can use to hinder their friends/opponents. These can be used during battle to help the monster or just because you didn’t want them to have that particular weapon they seem to value so much. Oh, don’t get me wrong, you don’t have to be that much of a jerk. You can help your fellow Munchkins in a fight…but then you have to share that sweet sweet precious loot, and that just doesn’t seem fair considering it is your loot. Besides, they are cheating anyway. Holding a small weapon in one hand and a small shield in the other makes perfect sense. But what if you wanted to also carry a chainsaw and possibly a giant two handed ax as well. It may be cumbersome and look quite awkward but with a Cheat chard (or two in this case) you are completely allowed to do this no matter how little sense it would make. A single Cheat card allows you to use any weapon you would otherwise not be allowed to use. Already wearing a helmet? Play a cheat card and now you have two helmets on. It may look cool or stupid, but you now get the benefits from both so who cares what you look like. Keep a light hearted approach to the game and all the backstabbing will become hilarious instead of infuriating. The exact details of things might become a little difficult to keep track of throughout the game but embrace the anarchy and go with the flow and even when someone does something wrong it’s quite entertaining. -Humorous art and flavor text. Good quality. -Easy to get going and tons of expansions to add to the mix later. -The silliness of the games makes even losing amusing. -The chaotic nature of the game can turn some people off. -Some rules can become a little confusing at times with certain card combos. -Not everyone finds backstabbing or getting backstabbed enjoyable. -The strategy is not very deep. Lots of random chance. If you are looking for an affordable game that will appeal to a large group of people, even people new to board games/card games, Munchkin is an easy choice. The humor is obvious and the rules are easy to understand most of the time. Munchkin is a game that is usually a hit when I introduce it to someone even if it’s not the most in depth game. It probably won’t be a game you play with your group every time you get together, but when it does come out, expect it to be fun. If you can finish a good long route, especially through the center, start stockpiling route tickets. Only keep the ones that you can grab quickly as a branch off your main route. It’s harder to get the longest route this way, but easier to complete multiple routes and grab enough extra points to make up for that lost 10. Don’t worry about to much of one thing. You only need that 1 extra point for a military win. Keep an eye on your neighbors and don’t over do it. These cards could be used for something that will result in more points at the end, such as blue cards or science. A balanced city will usually result in more overall points. This is not always the case, but unless you are planning on that specific strategy, it’s probably better to get a little bit of variety going on. Have all the players role play their character. Is your guy a wizard from Scotland? You have to role play it for the entire game. Voice and all. If you don’t and any other player calls you out on in (in character of course) lose a level. For added absurdity, let the player to your right choose your character. Now you have to role play whatever stupid thing they came up with for you. It’s a fun addition to the game with the right group of people. It’s stupid but hilarious. And stupid + hilarious usually = FUN! To change up the game a little bit, why not try playing with random starting locations. Dr. Lucky will start as normal, but the players will all begin in a random room. Shuffle the room cards, then draw for each player. This is the room they will start in. Continue the game as normal. This adds in a little extra to the beginning of the game. Someone may get lucky and have they Dr. come right to them with no one looking. That is part of the fun. One variation is to allow a player to draw more cards at the beginning of their turn. They can either draw their standard one card, or discard a card to allow them to draw additional cards. The number of cards they can draw is equal to the number on the card in addition to the one they get for free. For example, if the player lays down a 3 card, they now draw their 1 free card, then an additional 3 cards, equaling a total of 4 cards drawn this way. If they are going to use this method, the card must be put down/discarded before drawing their free card. Play then proceeds as normal, except they have already chosen their discard for the end of their turn. They do not get an additional discard. If you feel this gives the player to much of an advantage, you can choose to have them give up the rest of their turn if they choose to draw additional cards. This means they will discard a number card in order to draw additional cards, draw those cards, then end their turn. They will not be able to play a phase or lay down any additional cards this turn. One way you can change stuff up a little and make the game go longer and utilize more strategy is to have the creatures that are blocking/defending deal their damage back to the attacking creature. The attacking creature would not heal until the end of that players turn so it has the chance to die off. If player 1 is attacking, first his creature will attack player 2. Player 2 will be able to decide which creature he owns blocks which attacking creature. The blocking creature will deal damage to the attacking creature. This damage will stay until the end of player 1s turn. Player 1 now attacks player 3. Player 3 will decide which creatures are blocking player 1s attacking creature. The blocking creature will deal it’s damage. At any time if the attacking creature has received enough damage to kill it, that creature dies and the attack ends. This makes spells far more important, but it can also lengthen a game greatly. Do this only if you are wanting to get a long Quarriors game going. Don’t pick the same roles. Not does this make you an easy target for assassination but you are missing out on some opportunities to make some easy money or building. Choose the role that will benefit you, but keep in mind the roles that are being killed off. Don’t be obvious about it. It may be the most beneficial but if everyone knows you are going to pick it, being dead gets you nothing. If possibly, don’t build all over the play area. Try to focus your build in one area and build from it. This will allow you more chances for points as well as not limiting yourself on opportunities. Try to get your opponent to build here as well. By not spreading out the play area, roads and cities will be more concentrated and you will have less dead space. Decide early who will be getting which treasure cards. Use the special ability to get the treasures sorted out to the correct players. There is no need for each player to have one of each treasure card. Trade early and trade often. Work together to get four of the treasure cards to one person and buy the treasure. If you keep a specific person assigned to specific treasures, it will save you a lot of time and effort and allow you to get the treasures faster. Watch for opportunities to wall someone into a corer. If you can cast a single wall and seal one of your opponent in, it could be several turns before they are able to escape, leaving you with one less thing to worry about. This is not a sure fire method though. There are several spells they may have that will allow them freedom, but it’s always worth the shot. Sometimes it’s better to setup your opponent to get the negative points from the core. It can be tough to do but getting a core to balance on the edge just waiting to fall off from their hit can cost them some much needed points. It’s a risky move but the lower their score is, the easier it is for you to win with little effort towards the end of the game. The labyrinth has doors on the side of the game board. Passing through these will allow you to be transported to the other side of the board on the opposing door (think Pac-Man). Use these to your advantage to get to the other side of the board quickly, but be on guard as the other players will likely be using this strategy as well. These doors are easy to over look and if someone is distracted with their own situation, capturing a treasure can be very simple. I’ve seen games won using this strategy simply by the opponents not paying attention and forgetting about them. Play with all the dice and cards. Don’t limit yourself to just the 7 creatures. Put one of each onto the table. Put out all the spells. Play to max glory. It’s chaotic but fun. It also lets you get to see more of the cards that might not come out as much. Take the portals fast. Being able to get additional dice from your back and re-roll dice is very beneficial in this game. It allows you a good chance to get your bigger creatures to the table and another shot at those ****** 1 quiddity rolls. If you want to put a little variation on the wilds, make it so they can’t be mixed with another color. If you are going to use a wild for a 3 track, you have to use 3 wilds or 3 of the track color. They can not be mixed. This still allows the wild card to be useful as it can go anywhere, but now requires you to have more wild cards in order to place them on the board. One strategy is to not connect your desired tracks one after another. Go for the ones you want, but place them in what would appear to the opponents to be random. This allows you to use the colors you have available at the time and not give away your intended locations. Start with all characters on the board/island. On each players turn, they can use any character as if it was theirs. They play their turn as normal for that character. On the next players turn, they choose any character on the board, even the character that was just picked. This produces some interesting strategies and opens up the game to utilize all the unique abilities even if you have fewer players. Don’t waste time saving the edges of the map unless you absolutely need them to travel to a needed treasure or the helipad. Pick and choose which pieces to rescue and let the rest sink off into the ocean. This can also be applied to treasure pieces you have already acquired. Utilize the rooms that allow you to look at an opponents card, but doesn’t allow the other players the game opportunity. This will give you an advantage over everyone else. Don’t over use this though, as you get to see fewer cards with this method as you use more of your allotted time. Pick and choose when you use this. Take the short paths. Start grabbing up all the 1 and 2 spot tracks right at the beginning of the game. This will make your opponents have a harder time completing their tickets, but also might open you up to finish some random tickets later. Don’t even worry about your tickets until a few rounds in. Use the scattered placement of your trains to your advantage while limiting your opponents. Don’t forget about the spells in this game. Some can be saved until later when you can use them at an opportune time. This not only gives you extra options but also gets a dice out of your back, giving you more opportunities to roll the creatures that give you glory points so you can win. Save the spells in your ready area until they will best help you. On your turn, you can place a tile. You now have the option of placing a meeple or placing another tile. If you place a meeple, your turn is over, otherwise, pick another tile and place it to end your turn. This option opens up some different strategies and difficulties. Plans can get shut down quite fast but with the limitation, timing becomes important. There are various cards that can change the overall score of the game in an instant. Have a card that turns your grey card negatives into a positives or one that gives bonus to red cards? Don’t play them right away. Let your opponents move the line around and give you grey cards. Take the red cards that are not all that high of a point score to begin with. Once you have gotten a little built up towards the end of the game somewhere, then you can put out your card and reveal your strategy. Just make sure you don’t do it to soon or they will not play into your trap. You probably can’t rely on these cards to win you the game though. You will still have to have some other good point cards, but those will usually happen anyway. As with most card games, don’t empty your hand unless you absolutely have to. Once you do, you become a sitting duck with no defense or bluff ability. If you are carrying cards, you won’t stand out as much as an easy target. No cards means you can’t defend yourself or attack others. At least keep up appearances that you are dangerous. This may sound obvious, but it’s usually best to keep your small pieces for very late in the game. There will be very few spaces left and these will be some of the few pieces that you will even be able to use. As Beagle said in another tip, use your big pieces early. The more awkwardly shaped and large the piece, the sooner you play it. Even though Fluxx is a random chaotic mess at times, you can still utilize a little strategy to pull out a win from nowhere sometimes. Drop rule cards, not goals. Drop them like mad. You have to keep your eye out in case someone is getting close to their goal, but it’s Fluxx. That could happen at any time for any player in a moments notice. If you drop enough rule cards and are able to actually keep up with them throughout all the madness, you might just confuse the other players enough for you to drop that last minute goal and keepers to grab the victory before anyone even realized what was going on. Dixit is a fun game, but sometimes it needs a little something different. Try themes. Pick a theme at the beginning of the game. It could be something as simple and broad as “movies” or something as narrow as “historical quotes”. Now when the story teller begins, they have to make it fit the picked theme. This can make the game much more challenging but you also get to be more creative and put a completely new slant on the game. Once the same group has played Dixit a few times, sometimes the a few of the same things pop up and it might loose some of that “new game feel”. Themes take the fun mechanic and base game of Dixit and put just enough of a new twist on it to bring life back into the group. This game can be quite intimidating for some players, especially new players with the “everyone wins or everyone loses” approach. The waters come in fast and if everyone dies their first couple of tries, they might get unjustly discouraged. If you need or want to lower the game down to easy mode, only draw the flood cards on every other turn or every third turn. This makes the water come in at a much much slower rate. Now this also makes the game much much easier, but sometimes that might be beneficial for a newer or younger player. This allows them to get the idea of the game down well and work up from there. Should you save the special action cards (Helicopter Lift and Sand Bags) or use them up quickly? Most new players seem to want to save these until the last possible moment but I have seen many games end horribly with people still holding onto their special cards. Don’t throw them away randomly, but if you achieve something by using them, use them. You will get more. The other players will get more. Unless you are a couple of turns away from winning the game, a Helicopter card just sitting on the table is hurting you far more than helping you by taking up a card spot that could be used for a treasure. Ever feel Munchkin isn’t chaotic enough? Want to make it even more chaotic? Every player rolls a die. The highest roll takes a turn. Now every character rolls a die again. The highest roll then takes the next turn. In case of tie, roll again between tied players. Yes, this is unfair, yes it’s random anarchy, but yes it’s fun and entertaining in a really mean kind of way. As it gets close to the end of the game (approximately 3 rounds or so estimated) start picking cards based upon honor alone. The last few rounds should be a race to grab as much honor out of the cards as possible since there is not enough game play left to truly execute any new strategies. If your opponents are still building their decks at this time, you may be able to pass them in honor by focusing on end game play. A lot of people put the dice directly on top of the creature and spell cards in the wild. I did it as well at first. But there is a much better way. Line up the dice down along the left side beside the cards. This keeps them neatly organized and doesn’t hide the cards allowing everyone to read them easily. I saw someone do this in a review video and it disappointed me that I didn’t realize this as obvious from the beginning. One strategy is to go for mostly constructs. These stay in play at all times so they will be able to provide you with their abilities every turn. You have to watch out for cards that destroy them so try to take out any cards in the center than can do this weather it be banish them, just defeating the monster, or buying them up. Constructs tend to be high honor so it will help you at the end of the game, and they also tend to compliment each other which will help you in the round to round battle. One way to add a little twist to the game is before each players turn, roll a normal 6 sided dice (or two 6 sided dice if you are feeling risky). This is the number of rolls that player must take before they can quit. If they die within this number of rolls, they lose all their brains that turn as they have no option to bank them. Don’t worry to much about the event card. If it helps it helps, but don’t concentrate on building your strategy around it. It will probably change and if your strategy isn’t solid on it’s own, the even change could weaken your deck and cost you honor. Keep the event card as an added bonus, not as a keystone in the game. One strategy is to get rid of weak cards fast. Banish cards from your discard pile every chance you get. Toss out the militia first, then work on the apprentices. Work your deck down to a lean, mean, fighting machine that is able to be useful on every turn instead of just when you happen to get a good hand. A fun way to mix up Munchkin is to play with two base sets, such as Zombie Munchkin and the original core Munchkin set. Keep them both separated. The idea is for each player to choose one set and only play those cards. If they choose the zombie set, they kick down the doors from that set, and draw treasure from that set. Another player chooses the original base Munchkin set and only draws those cards. Each person picks their set before play and can not change. This can be used with any number of sets, and some people can share a set if desired. Sure, it makes for some odd situations and confusing rules at times, but that just adds to the fun. BoardGaming.com nominated for Website of the Year by OGREs, Inc. I was one of the many that nominated BoardGaming.com. Received my vote, as well as Richard Borg for lifetime achievement. Also, if you haven’t yet played Ascending Empires, give it a shot and I think you may see why I nominated and voted it for board game of the year. If you like RPGs, Hobomancer is a great game that creates it’s own unique experience unlike any other game out there. I’m actually typing this right now instead of prepping for my weekly game tonight like I should be. I hope for BattleLore. Possibly A Game of Thrones Board Game. Going to play the first game/character creating of some D&D/Song of Ice and Fire hybrid in a few moments. Also hoping to get several games of BattleLore in this weekend. Possibly squeeze in some time to attempt to find the rest of the BattleLore expansions and watch my wallet shrink. Just finished a game of Fiasco. We had a run down hotel, a government conspiracy, two maintenance men with a tendency to shoot guns indoors, a gay love connection, and a secret room that contained all the mysteries but only some of the answers. The game finished with a massive explosion, loss of limbs, and a smoldering copy of TV Guide. I’ve already got my money down for the Kittens in a Blender expansion, and I’m ever so impatiently waiting on the release of Zombicide. Fiasco. I’m now addicted to Fiasco. Maybe I’ll be able to get in a game of Ascending Empires as well. Fiasco, Elder Sign, Thunderstone, and Small World hopefully. Hoping to get a game of Fiasco going. Also thinking about picking up a new game. Possibly Small World, or Last Night on Earth. I will be doing a lot of play testing on a game I’m designing. Somewhere in between all that, I am hoping to get in a game of Ascending Empires. I’ve also been thinking of making a trip to the game store, so I might have some new additions soon. I’m expecting to play Elder Sign, Ascension, maybe some Thunderstone and Ascending Empires. I’m also going to be playing Skyrim tonight. Video games need attention sometimes too. I’ve been looking at Thunderstone for a while. I think I’m finally picking it up today. When I first heard about Thunderstone Advanced, I thought it was replacing the original, but the more I read into it, it seems like it’s just acting as another expansion that is also adding more new stuff than the other expansions. Is this correct? Advanced will still be able to work with the original core set? I’m planning on getting Return of the Fallen on iPhone soon, but I’m very impressed with how well the game plays on it. I think I like Storm of Souls the best, but I have a feeling it will be a while before this add this expansion as an option unfortunately. I'm always looking for the next great game that will offer that level of addiction that is so rewarding.